The National Energy Board’s announced scope for its review of TransCanada Corp’s Energy East pipeline project is — in a word — madness. The NEB has decided, for the first time in its history, to include a review of upstream greenhouse-gas emissions associated with the project, which would ship 1.1 million barrels of crude a day from Alberta and Saskatchewan to East Coast refineries. Predictably, environmental groups applauded the plan. Citing a 2014 Pembina Institute study, Environmental Defense said Energy East would produce annual upstream greenhouse gas emissions of 30 million to 32 million tonnes, in addition to 265 million tonnes from downstream activities. 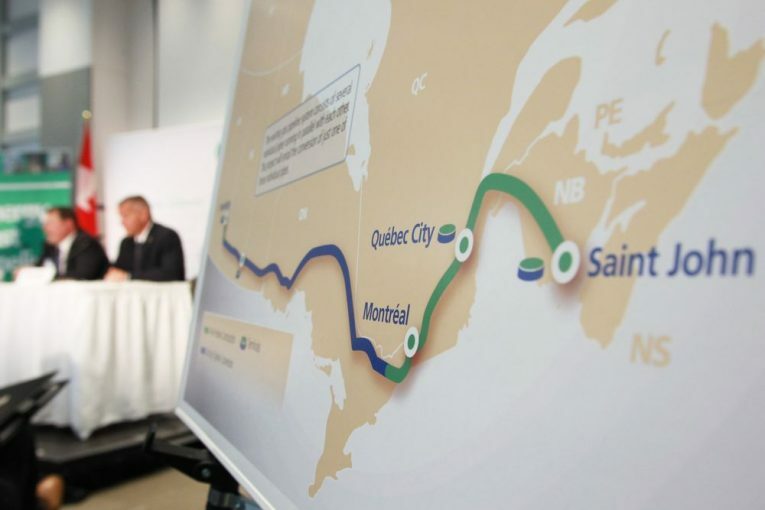 “Any reasonable assessment of the carbon pollution of Energy East would show that the pipeline is inconsistent with Canada’s commitments to reduce greenhouse gas emissions,” it said in a statement. The numbers in that 2014 study are stale and don’t incorporate the technological advances that have occurred over the past three years. Nor do they consider the impact of carbon pricing. Equally important is that Alberta — as part of the NDP government’s Climate Change Leadership Plan — is moving ahead with a 100-megatonne emissions cap in the oilsands, as the Oil Sands Advisory Group advocated last June. The advisory group’s recommendations were designed so the policies can endure election cycles, motivate investment in technology to further reduce emissions and environmental impact and to develop and maintain, if not promote, investor confidence. The NEB’s decision all but kills it. It’s unclear why the agency felt it necessary to include upstream emissions in the pipeline review, given what’s already in place in Alberta. In a letter outlining the scope of the review Wednesday, the NEB acknowledged upstream and downstream activities, in addition to the use of third-party electricity generation, are not part of what are defined as “designated projects” under the Canadian Environmental Assessment Act. Moreover, they cannot be considered incidental under the act, the letter states. In that very statement, the NEB acknowledges upstream and downstream emissions are outside the control of the applicant; TransCanada in this case. And that’s true. Decisions to develop the oil reserves in both Alberta and Saskatchewan will be made on the basis of basic economics: supply, demand, cost of production and price. Factors that are under the control of the exploration and production companies that own the reserves, not TransCanada. This isn’t like the Mackenzie Valley pipeline, which was tied to natural gas fields that had to be developed. It’s about the markets to which the barrels would go, and if it’s not Energy East it will be somewhere else. The point is, production will not stop. So why is the National Energy Board bothering to carry out this waste of time and resources? A statement issued Thursday by the Canadian Association of Oilwell Drilling Contractors condemned the NEB’s expanding of the Energy East review. “The NEB is mandated to “promote safety and security, environmental protection and efficient energy infrastructure and markets in the Canadian public interest,” it said. The association noted the federal government has already tasked Environment and Climate Change Canada with pipeline project reviews. “Any additional review by the NEB is redundant, and will add costly delays,” it said. To the outsider, it appears the NEB is overcompensating, wanting to quash any sentiment it’s not to be trusted or is beholden to the energy sector. The fact 700 of the 820 public submissions to the NEB regarding the Energy East project were form letters, makes it fair to ask who provided this input. Were they sent by individuals, who are — as Calvin Helin of Eagle Spirit Energy succinctly described them this week — ‘Facebook warriors’, those who jump on bandwagons and register their opposition to feel part of something, despite not having a comprehensive understanding of the issues, much less the consequences of their actions. The Energy East project makes sense on a number of levels, including the ability to supply Canadian refineries with Canadian crude oil, which is cheaper than Brent-priced imports from places like Venezuela and Saudi Arabia. Are those the kinds of regimes Canada wants to support? In that context, the question for the NEB is this: If it’s going to look at upstream emissions from the oilsands, will it also examine the upstream emissions of imported barrels going into the refineries that would be serviced by Energy East, including the carbon footprint of transporting those barrels? And here’s where it could get even more interesting, if not contentious. Two cases were handed down by the Supreme Court of Canada this summer regarding the NEB and the duty to consult. Both concluded the National Energy Board can act as an agent of the Crown. So the question is whether the NEB, as an agent of the Crown, can have a say in terms of production that takes place in Alberta or Saskatchewan, which are governed by provincial regulations? When companies buy a lease from the province to develop the underlying resource, they do so with the expectation they’ll be able to carry out their plans. If the NEB decision impairs that in any way, jurisdictional issues may need to be addressed from the perspective of how a company — and provincial taxpayers — are compensated for any losses stemming from the inability to fully develop the resource. In its effort to be more inclusive and position itself as environmentally responsible, the NEB’s move to expand the scope of its Energy East review is a bridge too far. The downsides of its decision are bound to outweigh any upside — all to the detriment of Canada’s energy sector and the economy.